Back when I spent a few years at Le Cordon Bleu, one of the things I loved to bake the most was Mille- Feuille - or Napoleons. Cedric, our teacher and pastry chef was a perfectionist and when teaching us how to make puff pastry, guess what he expected? Perfection. That was also the case when it came to macarons, but that's another story. Back when I spent a few years at Le Cordon Bleu, one of the things I loved to bake the most was Mille- Feuille – or Napoleons. Cedric, our teacher and pastry chef was a perfectionist and when teaching us how to make puff pastry, guess what he expected? Perfection. That was also the case when it came to macarons, but that’s another story. We would spent hours making buttery puff pastry. Rolling it thin, giving it the proper turns, waiting patiently for it to rest in the fridge and then bake it. I can still recall the smell while it baked and working on the last touches to a vanilla bean pastry cream ready to be pipped. Once the puff pastry cooled, we would cut it in long rectangles and then layer it with the pastry cream, one that reminded me of childhood and the taste of flan. The last touch would be sifting icing sugar on top of the last layer and voilá! Mille – feuille heaven! 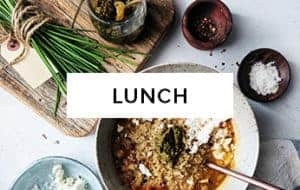 The whole process took its time and I remember thinking that as grateful as I was to learn how to make it from scratch, if I wanted to make it at home, I might not have time for the hours it took to make it. Truth is, once I graduated, I didn’t make puff pastry from scratch more that twice. Seriously… who has all those hours ? 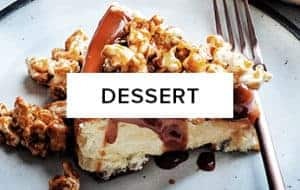 I did however, continued with my love for puff pastry and over the years have worked on both savoury and sweet recipes using Tenderflake and today I’m sharing with you my favourite summer recipe. The one I will be baking again this week as my Mum is here for a visit. 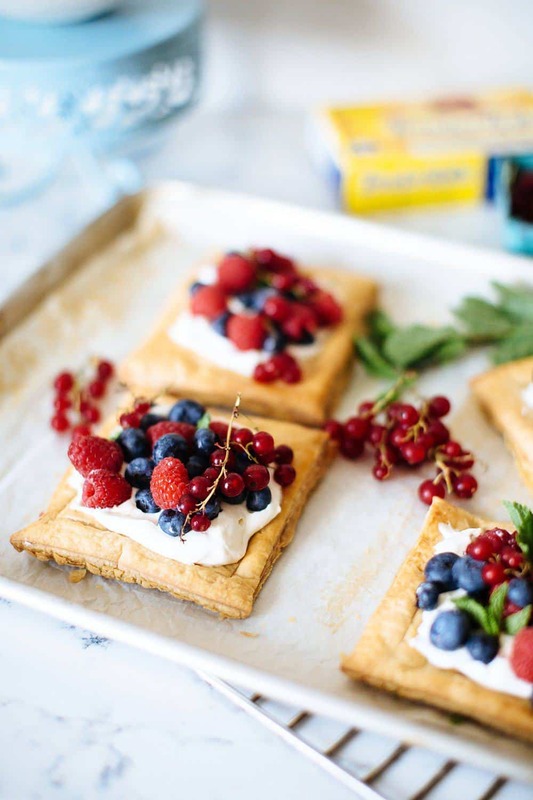 These berry tarts with maple and mascarpone cream are one of those desserts I keep making over and over again, especially during the summertime when local berries are all around. 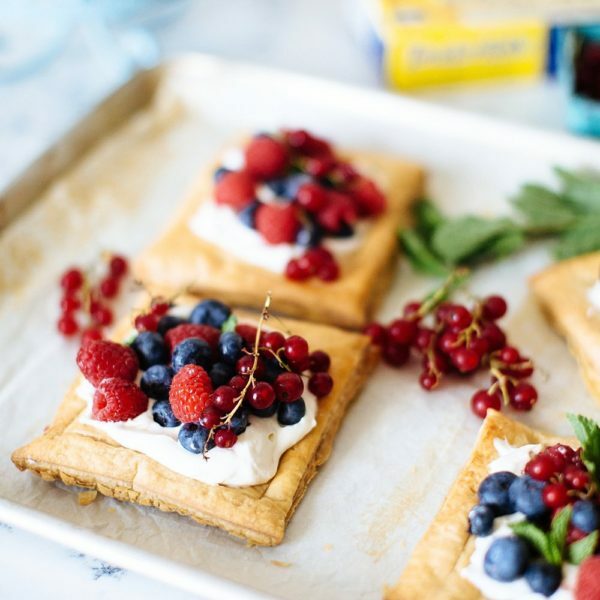 Let’s be honest, How not to love buttery pastry, topped with lightly sweetened Mascarpone, and the fresh Ontario berries? It doesn’t get better than that! Another reason why they are my fave? 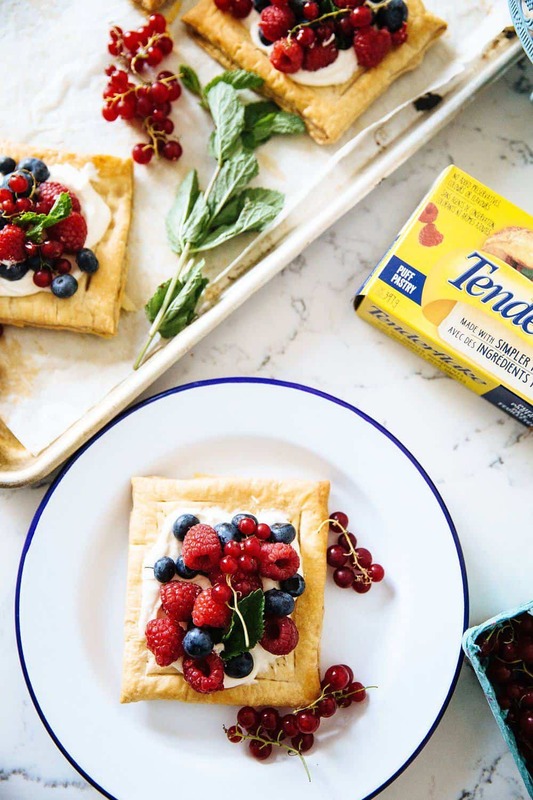 Tenderflake has been using simpler ingredients in their puff pastry recipe, without compromising taste and the tarts only takes less than 20 minutes to make, which makes them perfect for a weeknight dessert or for a Sunday brunch. 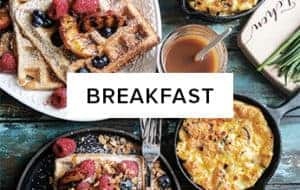 If you don’t have berries available, peach season is coming up soon. Preheat oven at 400 F and line a baking sheet with parchment paper. 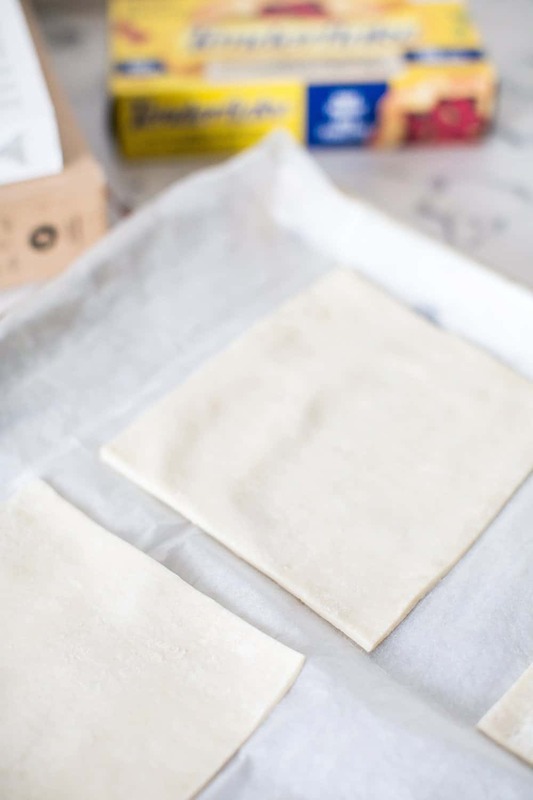 In a floured surface, place the rolled puff pastry sheets and cut each sheet into 4 squares. With a sharp knife trace a smaller square inside each, approximately 1 cm away from the border. With a fork, prick the interior of each piece of puff pastry square and place them on the baking sheet. Place beans or pie weights in the middle of each, (over parchment paper too) and bake for 12- 14 minutes or until golden. In a stand mixer, mix the mascarpone, 5 tbsp of maple syrup and vanilla. 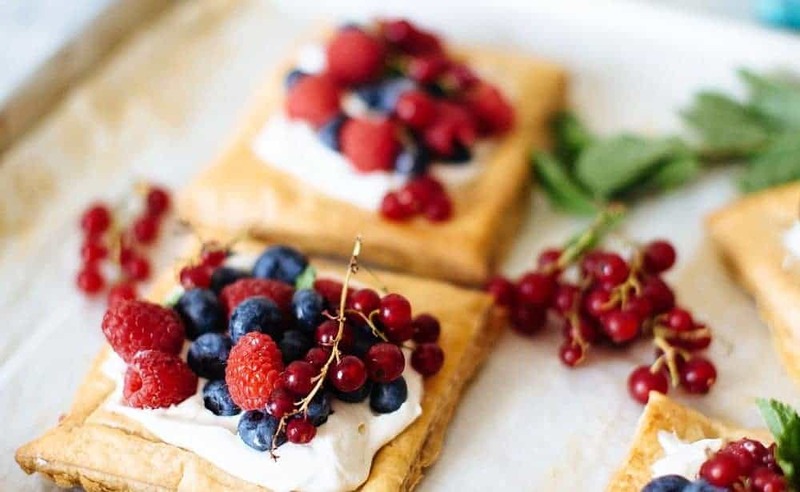 Once the puff pastry tarts have cooled, add a few tablespoons of the mascarpone cream into each one and top with berries, red currants and 1 tsp of maple syrup per tart. Decorate with mint leaves. 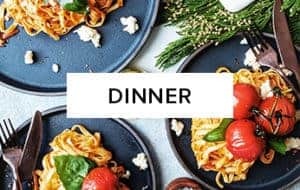 This post was made in collaboration with Tenderflake, however all views, opinions and recipe development are my own. 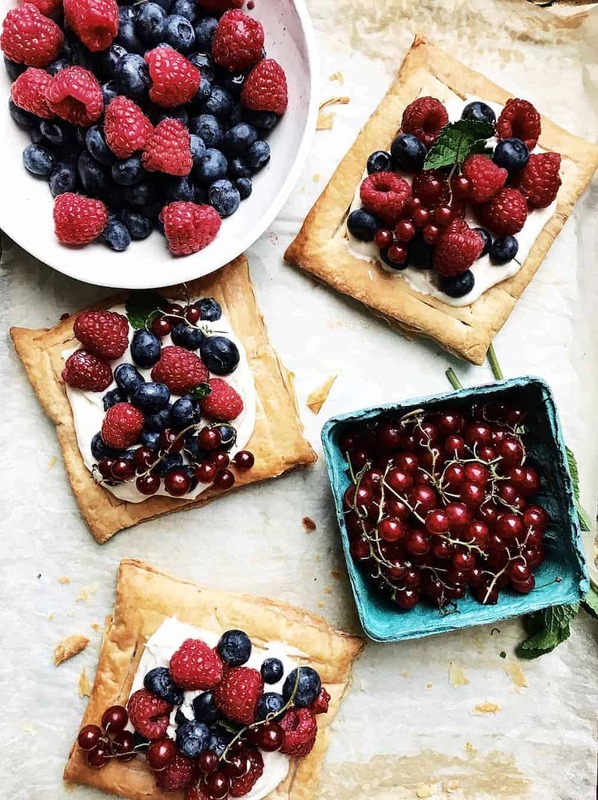 These are the prettiest berry tarts! Just love them, dear!